Young and Entertaining: Give Away! Hi All! 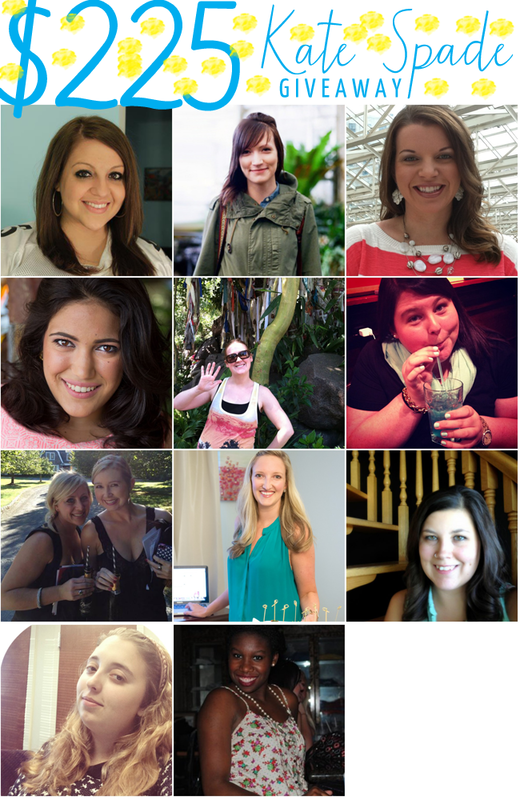 Today I'm joining some fabulous bloggers in a $225 Kate Spade Giveaway! I think we all know and love Kate Spade bags, shoes, and purses, but I'm a particularly big fan of KS Home wares (including my Wedding China as you know). Be sure to enter for your chance to win and find some great blogs along the way! I love my Belle-Boulevard china! A Piperlime gift card would be awesome for holiday party clothing! Thanks for a great giveaway - this would be so perfect for the holidays! Oh and I would love Target to be the next one! Target, Nordstrom, or Shopbop maybe?